The First Rule about fight club is you don't talk about fight club. Every weekend, in the basements and parking lots of bars across the country, young men with white-collar jobs and failed lives take off their shoes and shirts and fight each other barehanded just as long as they have to. Then they go back to those jobs with blackened eyes and loosened teeth and the sense that they can handle anything. Fight club is the invention of Tyler Durden, projectionist, waiter, and dark, anarchic genius, and it's only the beginning of his plans for violent revenge on an empty consumer-culture world. 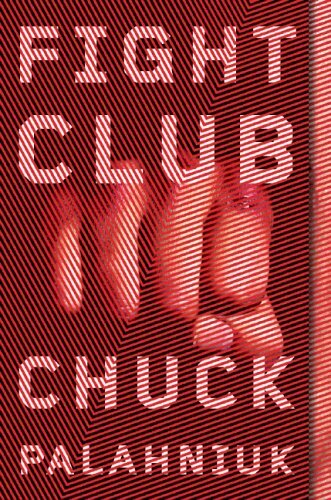 Chuck Palahniuk was born in Pasco, Washington on February 21, 1962. He received a BA in journalism from the University of Oregon in 1986. Before becoming a full-time author, he worked as a journalist and as a diesel mechanic. He has written numerous books including Survivor, Invisible Monsters, Lullaby, Rant, Stranger than Fiction, Tell-All, Damned, and Doomed. His book Fight Club was made into a film by director David Fincher and his book Choke was made into a film by director Clark Gregg. In 2014, his title Beautiful You made The New York Times Best Seller List.